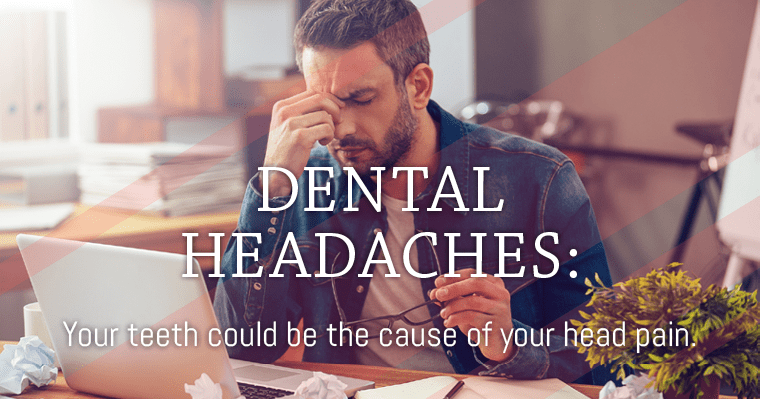 Your headaches may be dental related! A visit to your dental office might treat your frequent headaches more effectively than a trip to your MD, simply because the pain many people experience is from a “dental headache.” Whether daily or occasional, light or severe pain, these headaches can be disruptive and frustrating. Solving this issue and finding relief really can be life-changing, and the solution just might be found through a careful and thorough examination by Dr. Gorman. What is a “dental headache” you may be asking? Dental headaches are caused by “referred” pain. When you experience the pain in the form of a tension or stress headache, the actual source of pain may be your teeth. A stress headache can be described as feeling like a tight band around your head. Often people only focus on where the pain lies locally, and the source of the pain becomes overlooked. Tooth infection caused by decay, TMJ disorder, or teeth grinding are three main causes of dental headaches. When a tooth infection causes a headache, it is usually felt on the same side of the head as the area that is infected. Actually, tooth infections are the reason for 10% of all sinus infections that lead to pain around the nose and in the forehead. Since not all tooth decay or infection is noticeable to the naked eye, regular dental visits allow Dr. Gorman to discover an infection, and not only fix that problem, but also your headaches. Dr. Gorman offers treatments for TMJ disorder that can help you achieve relief from the headaches and pain. Some of these treatments include correcting an uneven bite or splint therapy to prevent jaw clenching. Dr. Gorman is an expert when it comes to providing effective therapy to relieve your pain caused by tooth grinding. Mouthguards or nightguards protect your teeth as well as take away the pressure on your teeth and jaw. It is possible to find relief for your headaches only if the cause is identified. Dr. Gorman wants to help you discover the cause and find the solution to your frequent headaches. 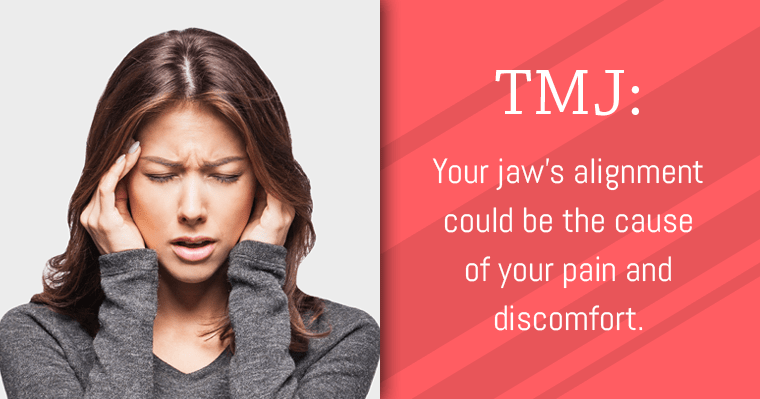 We are here every day to answer your questions about headaches and TMJ. Please give us a call and Dr. Gorman will personally answer your question. Our patients trust his years of experience and knowledge. Click here or call 651-483-5134 to schedule an appointment or learn more about dental headaches and how Dr. Gorman can help you today.